Many U.S. homeowners are inadequately insured for natural-catastrophe damage ahead of the height of the Atlantic hurricane season. Three major landfalling hurricanes in 2017—Harvey, Irma and Maria—revealed a widespread lack of full insurance coverage for homeowners in Texas, Florida, Puerto Rico and elsewhere. 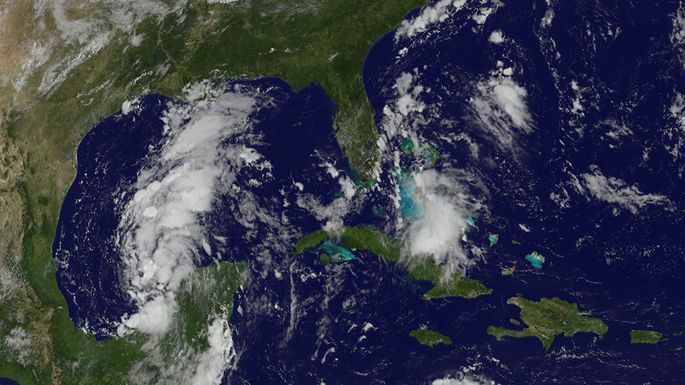 Those storms served as a wake-up call to some, but the underinsurance of Americans persists, according to regulators, trade groups and government data. While most people have home insurance, many lack flood insurance, which is typically purchased from the U.S. government as a separate policy. Many homeowners also have home-insurance policy limits that are too low to cover the full cost of repairing or rebuilding their properties. Javier Rivera Ríos, the territory’s insurance commissioner, said that a lot of the houses in Puerto Rico that suffered losses weren’t insured at all, let alone with flood coverage. Jeremy Gundling of Friendswood, Texas, didn’t have flood insurance when his home filled with two feet of water during Harvey. His home insurance covered some wind damage to the house, where he lives with his wife and four children, but Mr. Gundling took out a loan to pay for most repairs. 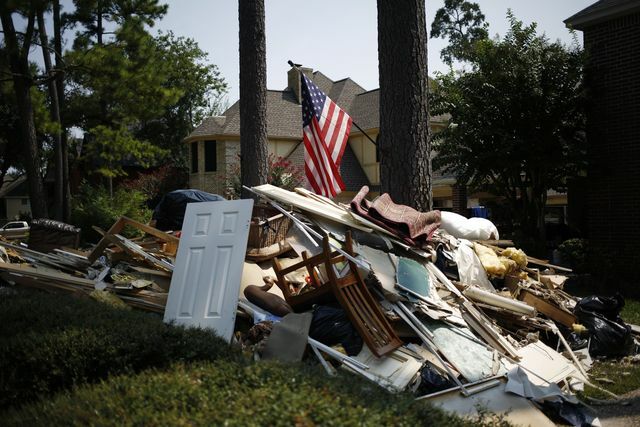 An American flag flies above a pile of flood damaged debris stripped from inside a house that was flooded by Hurricane Harvey in Spring, Texas, U.S., on Wednesday, Sept. 6, 2017. When Mr. Gundling decided to forgo flood insurance, he felt it was the right call based on recommendations from his real-estate and insurance agents. “It was disheartening…to find out that I was severely underinsured,” he said. After the storm, he bought insurance from the National Flood Insurance Program and expanded his home-insurance coverage. The federal policies pay up to $250,000 for damage to a residence and $100,000 for contents. Previous articleWould You Invest 40 Percent More Money For Sustainable Real Estate? During the lease signing, when you get to the part that says how much the monthly rent is, this is a good time to collect the money for the first month’s rent. If a tenant moves in in the middle of the month, I don’t prorate the amount they pay for that first month. For example, if the rent is $1,200 per month, and they move in on January 10, they will pay a full $1,200 for rent when they move in but only $800 on February 1. One final note on the rent, only accept rent in certified funds, such as a money order or a cashier’s check. 3 Ways for Tenants to Pay Rent As for rent payments in the future, I recommend not picking up the rent in person, because this will only train the tenant to expect you each month. Dwolla: Similar to PayPal, tenants can use Dwolla to pay rent directly from their checking account for free. Currently, payments are just $.50 each and we use this when the tenant’s bank doesn’t work with Dwolla. Many landlords have different techniques for collecting rent, so be sure to check out the BiggerPockets Forums for more suggestions and ideas from other experienced property owners. Ultimately, you may change or adapt your style as you learn more and grow, or as technology advances. How do you have your tenants pay rent?